Fliqi added a post in Current Affairs article 10 months ago. Jammu and Kashmir Chief Minister Mehbooba Mufti sent her resignation to Governor NN Vohra, after the BJP announced it was leaving the alliance with her Peoples Democratic Party. 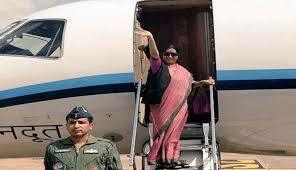 External Affairs Minister Sushma Swaraj embarked on a four-nation visit to Italy, France, Luxembourg and Belgium. This will be the first major political exchange between India and Italy following the swearing-in of Giuseppe Conte as the country's new Prime Minister. Former Gujarat chief minister Anandiben Patel has been named as the new governor of Madhya Pradesh. She will replace Gujarat governor Om Prakash Kohli, who currently holds additional charge of the office of Governor of Madhya Pradesh. Patel became the first woman chief minister of Gujarat however she stepped down from her post in 2016 citing age related issues. Following Patel’s resignation as CM in 2016, BJP had appointed Vijay Rupani as the new chief minister. 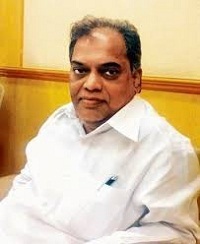 Senior NCP leader and former deputy Chairman of the Maharashtra Legislative Council Vasant Davkhare died on Thursday was 67 aged after a prolonged illness. Davkhare was first elected as corporator in the Thane Municipal Corporation in 1986. In 1987 he was elected as Mayor of Thane Municipal Corporation. He became the Deputy Chairman of the Legislative Council in 1998. In July 2010, he was re-elected unopposed as the Deputy Chairman. His son Niranjan Davkhare is the NCP MLC. Senior diplomate Vijay Keshav Gokhale was appointed as new foreign secretary for a two year fixed term. He is at present Secretary at Economic Relations in the Ministry of External Affairs. He replaces S Jaishankar who completes his tenure on January 28, according to an official order. Mr Jaishankar was appointed foreign secretary on January 29, 2015, for two years. He was given a one-year extension in January last year. Vineet Choudhary was appointed as chief secretary of Himachal Pradesh government on 31st December 2017. 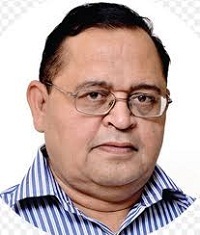 Vineet Choudhary is a 1982 batch IAS officer of Himachal Pradesh cader. Vidya Charan was appointed as chief secretary before Vineet Choudhary. Himachal Pradesh CM Jai Ram Thakur allocated portfolios to his ministers. Mohinder Singh Thakur has been allotted Horticulture and Sainik Welfare Department, Irrigation and Public Helath and Kishan Kapoor is allocated a charge of Food and Civil Supplies and Consumer Affairs and Election. First time MLA Suresh Bharadwaj has given Education, Law, Legal Affairs and Parliamentary Affairs. The alone women minister Sarveen Chaudhary has allotted Urban Development. Five times legislator Jairam Thakur will be the new chief minister of Himachal Pradesh, decided after BJP meeting. The legislators’ decision came after Prem Kumar Dhumal whom the BJP had named as its prospective chief minister 10 days before the elections but unfortunately he lost the election to his congress opponent Rajendra Rana. Jairam Thakur will take oath as chief minister of Himachal Pradesh on 27 December 2017, he is 52 years old. He was an active member of Bharatiya Vidyarthi Parisad (ABVP) when he was a college student. He was made ABVP state secretary in 1986 then joined Akhil Bharatiya Vidyarthi Parisad in 1990 and appointed as the state chief in 2006. After winning the Gujarat election Bharatiya Janata Party has finally decided in a meeting to continue Vijay Rupani will remain Chief minister, and Nitin Patel will remain deputy chief minister of Gujarat. While addressing Rupani said that Gujarat will become a role model for the other state when it comes to development. In Gujarat election BJP secured 99 seats out of 182 seats.